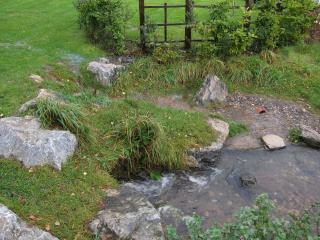 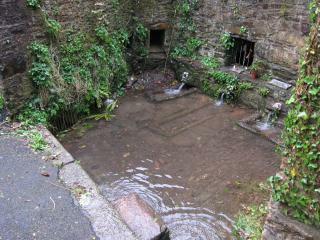 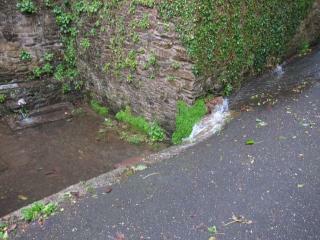 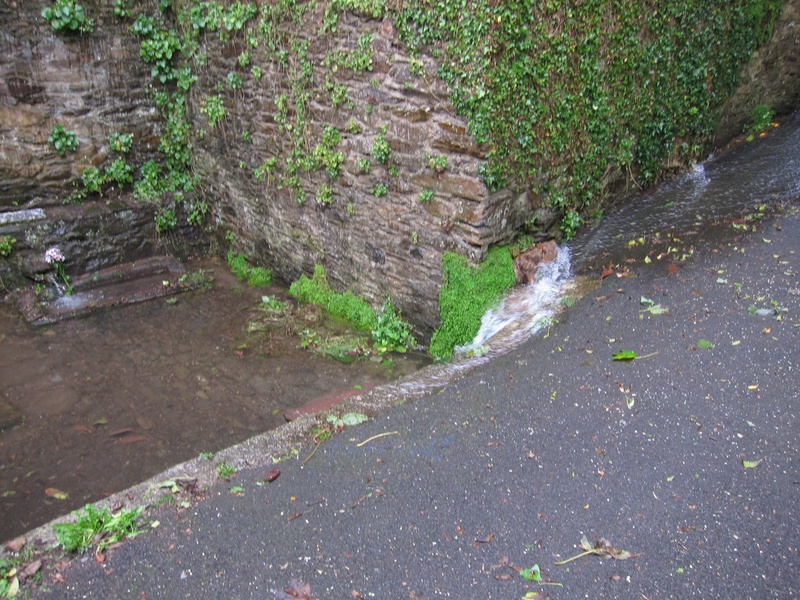 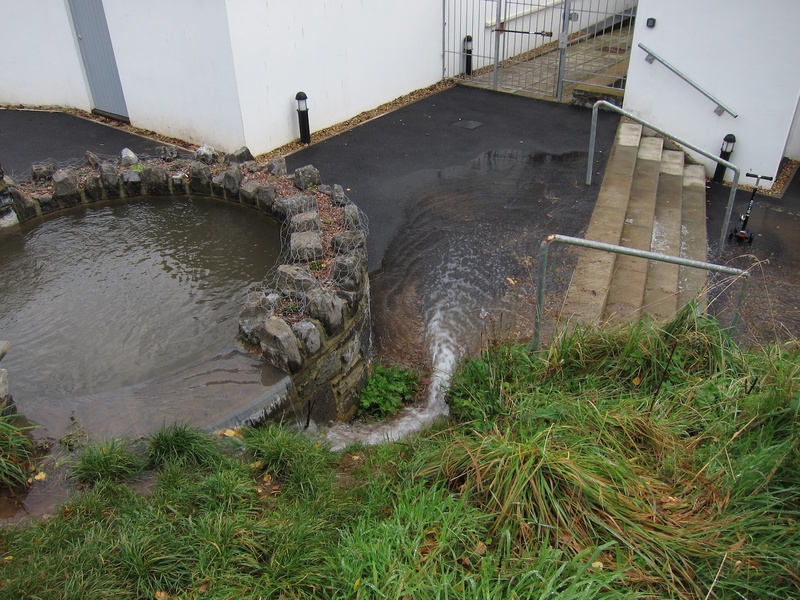 Following very heavy rain on the night of October 5th, the amount of water entering the Leechwell via the spouts and down the footpath was so intense that the water in the Leechwell was a foot deep. All that water eventually flowed down into the garden with the result that the waterfall was spectacular, with a lot of water cascading onto the path through the pergola. 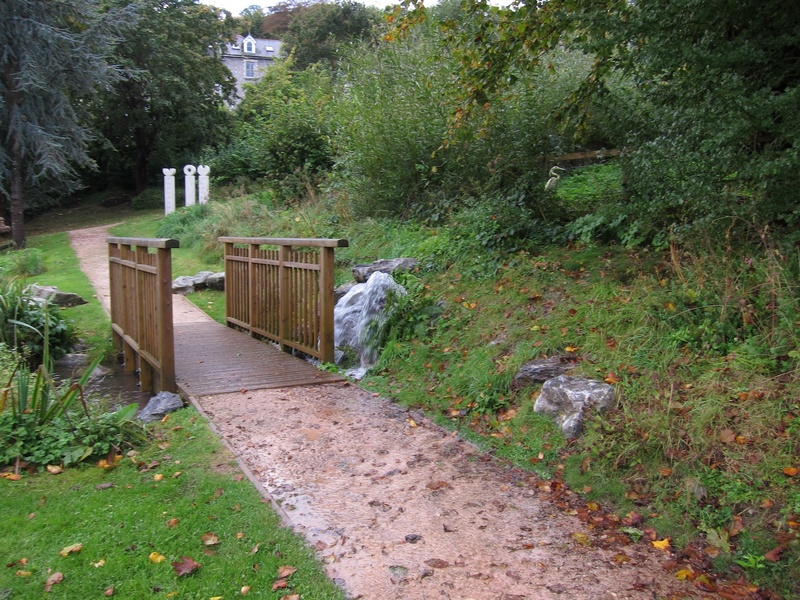 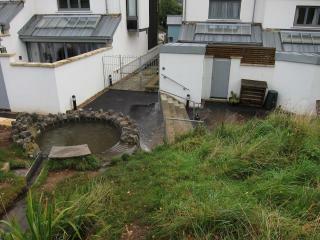 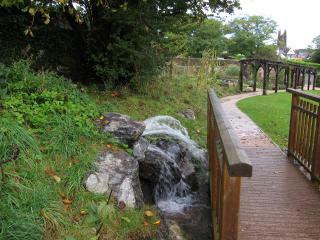 The lower pool was similarly overwhelmed with water cascading over the side and down onto the path at the back of the houses.